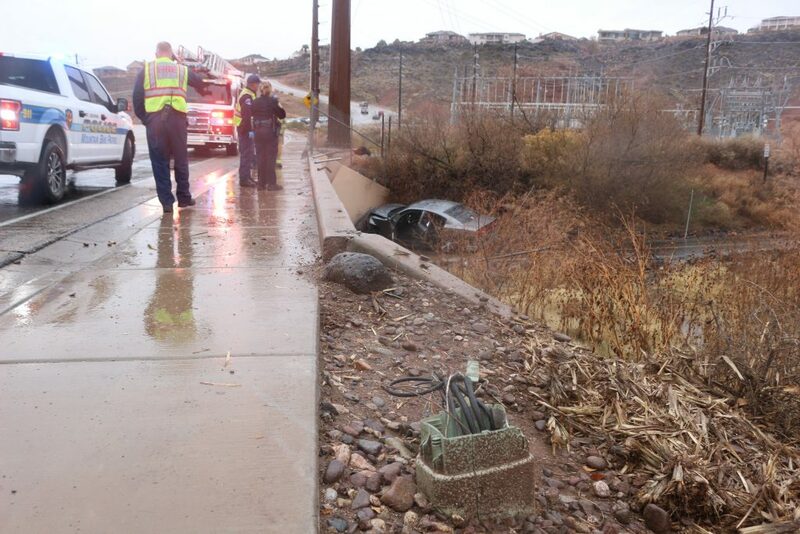 ST. GEORGE — A medical incident may be the reason why a man’s car flew off Riverside Drive and crashed into a culvert on the side of the road Tuesday afternoon, police say. Shortly after police officers and other first responders had cleared a rollover nearby on the Foremaster Ridge hillside, a gray car that was westbound on Riverside Drive ran off the road around 3:45 p.m. and tore through chain-link fence before crashing into the culvert where a bike path goes underneath the street. Smoke began to rise from the car after it came to a stop while passersby got out of their cars or left their offices to run over to help any victims. Along the way, one man yelled to another to call 911. 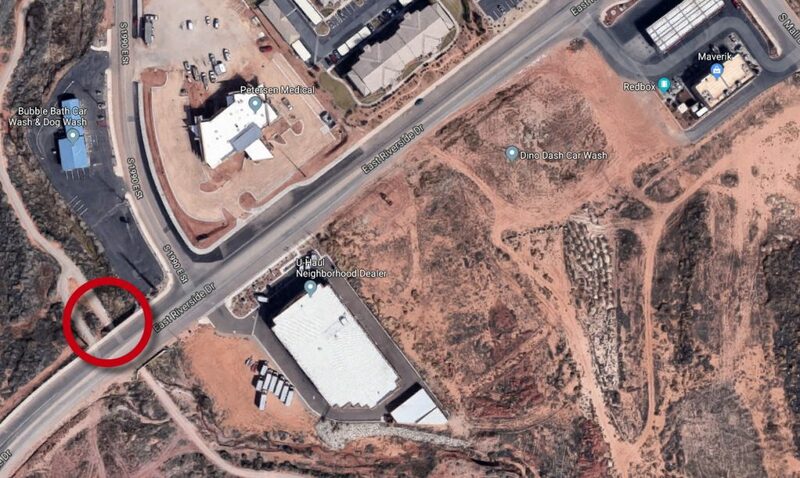 The driver, an adult male, received what St. George Police officer Tiffany Atkin later described as serious injuries. He was seen bleeding from his head before and after he was helped from the car. Though originally reported to be the sole occupant in the car, the driver had two family members in the car when it crashed. They appreared to escape serious injury. 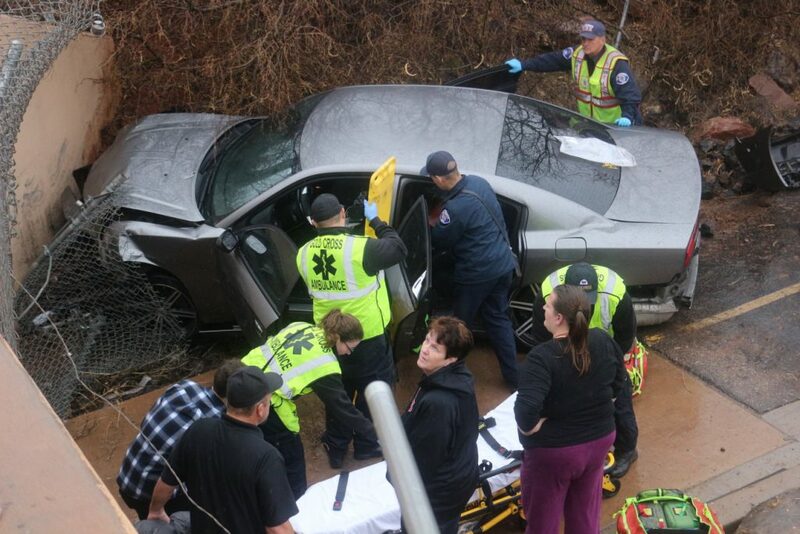 The driver was gradually removed from the car by ambulance medics who took him to Dixie Regional Medical Center. 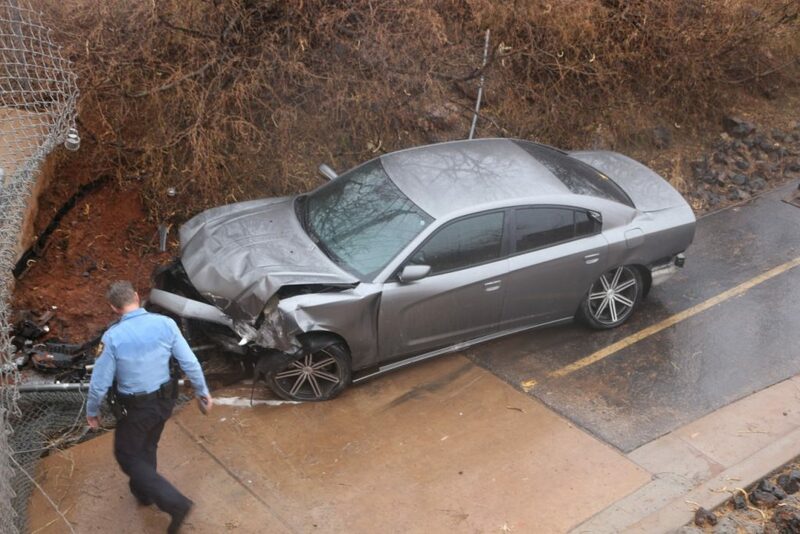 Atkin said the man may have experienced a medical episode while driving, although that has yet to be determined. 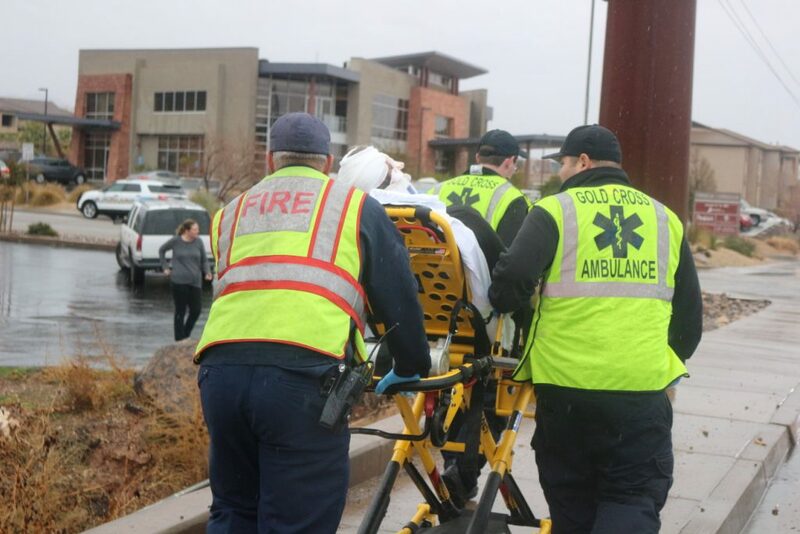 One of the witnesses who responded to the crash later emailed St. George News and said the man in the car was having a seizure at the time of the crash. Ed. note: This article was updated with additional information provided by a witness who responded to the crash. Oh snap! Glad he didnt run into oncoming traffic or anyone on the bike path. He must have been zipping right along to fly through the fence. Tiffany is earning her pay. Be SAFE out there! These are our neighbors and he had a seizure and pressed on the the gas pedal during the seizure. This is an old police car they said it’s reinforced to withstand crashes otherwise there would have been more injuries. 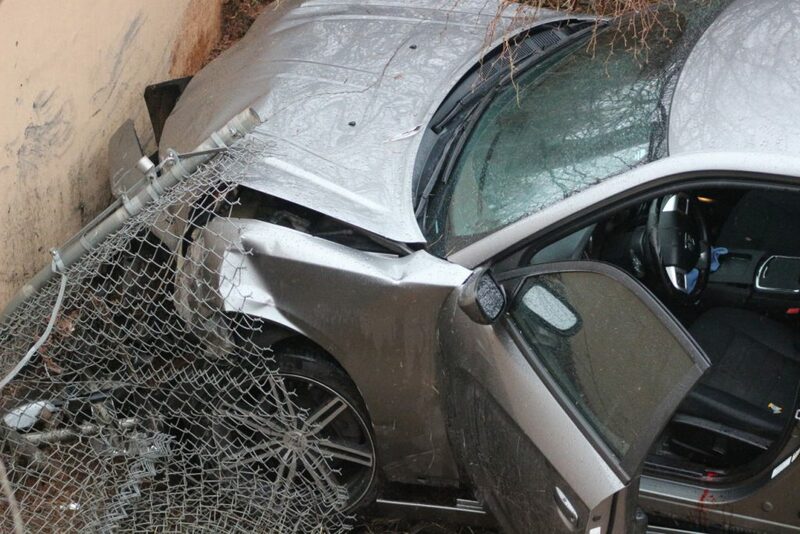 The scary thing is the airbags did not deploy.